Artist here at Rage tried out some wood burning and created this little Gem. Its 1911 wood grips with custom epoxy in-layed cartridge. Stay tuned for more creations! 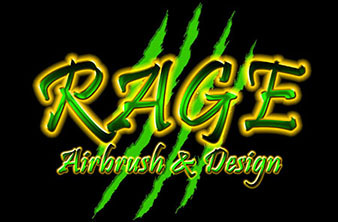 Hello and welcome to the new Rage Airbrush and Design web page. Due to some technical difficulties, we had to re-build the page and are still in the process of improving it as we speak! Please feel free to follow us on Facebook, this is where we will post most of our artistic projects. Also feel free to browse around the site here! !